Olga Dugina and Andrej Dugin paint lavishly detailed, richly textured and enthrallingly odd illustrations for children’s books. Their intricately detailed paintings can, in turn, carry the feeling of Medieval tempera paintings, the grotesque fantasies of Bosch and Breugel, the carefully arranged tableaus of renaissance tapestries and, in the their collaboration with Madonna (yes, that Madonna) for the fourth in her series of children’s books, a kind of decorative Persian surrealism. They say in an interview about their work on that book, The Adventures of Abdi, that they work collaboratively out of necessity, can take anywhere from one and a half to four months to complete an image and tackle a project like Abdi by going straight through, first picture to the last, finishing the cover at the end. I haven’t been able to find much information on them or their working methods, but I suspect they are working in opaque watercolor or tempera. They are also the authors and illustrators of a retelling of the classic The Brave Little Tailor and The Dragon’s Feathers. I can’t find an official site for Dugina and Dugin. There is a small selection of their work on illustrators-online.com and an unofficial archive of the illustrations for The Adventures of Abdi, with nice large images of the paintings. This is good. I doubt that Madonna’s story measures up to the illustrations, but if thats what it takes to get this artwork published, I can deal with it. They are absolutely fantastic, the Brave Little Tailor and the Dragon Feather took them years in the making. Just the drawings are to die for. The fantasy and images within images… I just love them and treasure those two books. Thank you for profiling these guys! I saw one of the TAILOR paintings up at the Society of Illustrators and I have never forgotten it. As amazing as there printed books are, and they _are_ amazing, the original paintings are some of the best things on Earth. Thanks for the info. I figured it was watercolor, but assumed opaque watercolor from the apparent texture. Thanks for the link! There’s way too little about these artists on the web. Thanks for your description of their originals. That’s enough for me to be determined to see one if I ever get the chance. Other readers should note that Irene’s take on their originals comes from the vantage point of one of the premier art directors in the field of fantastic art. Her always fascinating blog is The Art Department. I like very much their work. I should buy their Abdi book. The image is stunning! Do they have a published collection of their work? They have several folios of the Dugins work most of which is for sale. They had an opening last year at which we had the rare chance to meet this Husband/Wife team in person! thank you for the links to olga and andrej dugin’s beautiful work. Hey…ages back (maybe 16 yrs ago!!!) I was gifted an Arabian Nights book that was hardcover bound and had illustrations that were very much in this style..I lost that book in a flooding incident sometime back and have been looking for the same edition ever since…if you know the edition I speak of…please do contact me. What is Dugin and Dugina’s drawing media under the watercolor? I’ve searched everywhere to find out. 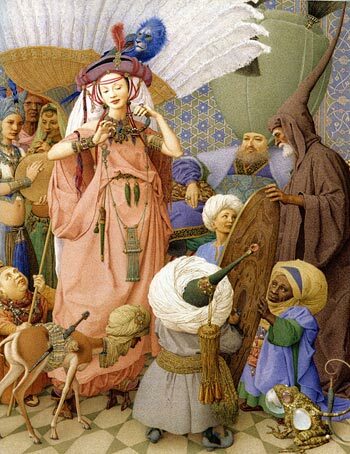 Gennady spirin does wonderful drawing too. 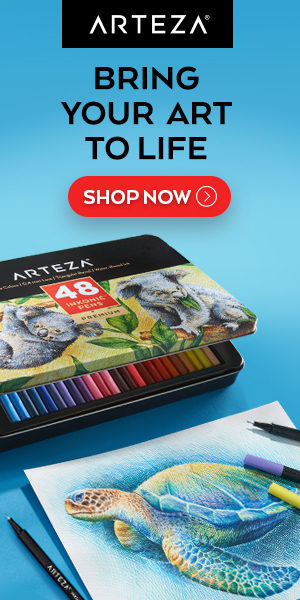 If pencil, it’s not smearing or coming up gray which could mean they’re using gouaches over the drawing. For a while, I wondered if it was silverpoint drawing. If anyone knows or where I can find information, it will be much appreciated. I didn’t know these two wonderful artists until today: I went to a library and I found ” The brave little tailor”. Olga Dugina and Andrej Dugin are really fantastic, I can’t tell how beautiful their images are. They work with watercolor and then paint with colored pencils. I sent an email to the couple (Dugin Olga and Andrej Dugin) and they confirmed to me. Great to know. Thanks, Patricia. Hi Olga, Amazing work! Please contact us we are a band who likes to make music outside the box. I love your art and would love to work with you someday. Thank you!